South African defense giant, Denel Dynamics missile, known as the Mokopa is ready to be sold on international arms market. Denel Dynamics announced on Tuesday that its new air-to-surface missile, the Mokopa, has been successfully qualifiedand is now ready to be released on to the market. The Mokopa was originally designed as an anti-tank weapon – specifically, in the South African context, for the Denel Rooivalk attack helicopter. However, it has also been developed into a multi-purpose weapon, for both regular and irregular warfare operations. The Mokopa has a range of more than 10 000 m, and can be fitted to vehicles and fast jets as well as to helicopters. It can be supplied with semi-active laser guidance or imaging infrared guidance systems, and anti-tank or multipurpose warhead options. During the trials programme, the Mokopa’s performance was validated using the anti-tank warhead and semi-active laser guided version of the missile. The firing trials were conducted at the Denel group’s OTB test range near Bredasdorp in the Western Cape province, these trials concluding on January 21. The Mokopa represents the next generation of anti-tank/multipurpose air-to-surface and surface-to-surface missiles developed by Denel Dynamics. The company’s current missile in this category is the Ingwe, which was also originally an anti-tank weapon but later adapted to become a multipurpose missile. The Mokopa’s maximum range is roughly twice that of the Ingwe. The Mokopa has a mass of 49,8 kg, a diameter of 178 mm and a length of 1 995 mm. In its anti-tank version, it can penetrate more than 1 350 mm of rolled homogenous armour. Another milestone for Denel Dynamics. I’m sure this will be heavily marketed on the international arms market along with their well known Umkhonto missile. U.S. To Set Up North African Military Base In Algeria ? Is the United States about to set up its first military base on the African continent in Algeria ? The U.S. Army Corps of Engineers is reported to be seeking “expressions of interest” in building a military airbase in a “North African country,” indicating the Americans may be planning to take a more active role in the regional war against al-Qaida.Intelligence Online, a Paris Web site that specializes in global intelligence, reported the call was issued Dec. 2 but didn’t specify which country the Pentagon might have in mind. But it is known that U.S. military planners have been interested in establishing an airbase in the desert region for some time and has in the past focused on Algeria’s Tamanrasset facility deep in the Sahara Desert. The Pentagon has reportedly wanted to find a base to mount aerial surveillance of the region where al-Qaida in the Islamic Maghreb — the Arabic word for North Africa — is operating on an expanding basis. AQIM is one of al-Qaida’s most active affiliates and has access to Europe, where it has links with Islamic cells that have supported militant operations since the early 1990s. The U.S. military established the Africa Command in 2008 to oversee military operations on the continent, which is becoming a strategic oil-producing zone. But so far Africom, which is concerned primarily with military and counterinsurgency training programs, hasn’t found any African state willing to host its headquarters, which remain in Stuttgart, Germany. Algeria, the regional military heavyweight, is leading a regional counter-terrorism campaign against AQIM launched in 2009. This effort has headquarters in Tamanrasset. Algiers has long resisted any intervention by U.S. or European forces. That was particularly true when the military-backed Algerian regime was fighting a civil war against Islamist militants throughout the 1990s. Energy-rich Algeria didn’t want the Americans, or anyone else, poking their noses into how it was conducting its often brutal counterinsurgency operations. But that changed somewhat after 9/11. Recent WikiLeaks documents show the government of President Abdulaziz Bouteflika is considered an important ally in the battle against al-Qaida. U.S. cables indicate that the authoritarian Bouteflika’s government became more cooperative after the Dec. 11, 2007, al-Qaida bombings of the U.N. office and the Supreme Court in Algiers that killed 41 people and severely jolted the regime. The attacks undermined Bouteflika’s controversial reconciliation program with the Islamists launched after his election in 1999. Some 250 of the militants who had been given amnesty had rejoined al-Qaida, according to the leaked U.S. embassy cables. The bombings “opened a debate whether President Bouteflika’s amnesty program is appropriate or not; some in the security services want to cast it aside and use an iron fist,” an embassy summary observed. The cables list “major anti-terrorism successes” by the Algerians in 2008, including the killing or capture of at least 19 significant militant chieftains and a thwarted assassination attempt against U.S. Secretary of State Condoleezza Rice at Algiers’ Hassi Messaoud Airport when she visited in September of that year. By February 2008, cooperation between Algerian military intelligence and the Americans had markedly improved and was paying off. In a December 2009 cable, U.S. Ambassador to Algeria David D. Pearce recounted the tough bargaining involved in securing Algerian approval for U.S. surveillance flights by EP-3 Orion aircraft to scoop up signal intelligence in the vast desert areas, including Mauritania and Mali, where the jihadists operate. The relationship improved to the point that Pearce reported in a Jan. 6, 2010, cable: “Over the past year, we have had a green light to develop new ties across the board, from military to law enforcement. That light has now turned yellow. “It is worth remembering that no country is more important than Algeria in the fight against al-Qaida” in the Sahara and the semi-arid Sahel region, he added. This is a continuation of ever expanding military and security cooperation between Algeria and the United States. Both nations share the same threat spectrum of Islamic extremists terrorists and it is in the national interest of both nations to coordinate and cooperate in rooting out this threat. A base of operations for special forces missions, extractions, intelligence gathering would be ideal and the government of Algeria is willing to enhance its broadening strategic relationship with Washington. This comes after released Wikileaks cables showed Algeria had allowed the U.S. to fly drones over its territory. Algeria not only cooperates with the U.S. in its war on terror, but also with France as well. Indian industry is implementing a strategy to compete with China and European countries for capturing markets in growing African economies. As part of the game plan, Commerce and Industry Minister Anand Sharma will be leaving for Nairobi tonight, leading a business delegation of the Federation of Indian Chambers of Commerce and Industry. Senior officials from 187 Indian companies would be participating in the ‘Namaskar Africa’ and ‘India-East Africa Business Forum’ events at Nairobi, opening on October 14. FICCI President and Bharti Enterprises Vice Chairman Rajan Bharati Mittal, with a strong interest in the telecom business in Africa, is the leading member of the delegation. Sharma will be addressing a meeting of the India-Kenya Joint Trade Committee, according to a Commerce Ministry statement here. He is also scheduled to meet Kenyan President Mwai Kibaki and Prime Minister Raila Odinga. While India has bilateral trade of USD 30 billion (2009- 10) with Africa, business with East African nations, mainly Kenya, Rwanda, Seychelles, Ethiopia and Uganda, amounts to just USD 4 billion. India, on its part, is trying to counter the commercial threat from China and European nations by offering lines of credit to African firms. “That will help source capital goods from India,” FICCI Secretary General Amit Mitra said. With a decade of growth at the rate of 5.4 per cent, the economic outlook for Africa is improving. “For the first time in over three decades, a large number of African countries have begun to show sustained economic growth at the rates that are similar to the rest of the developing world and exceed that of most of the developed countries,” FICCI said. Healthcare and pharmaceuticals, power, construction, information technology, roads and railways and minerals are the areas of opportunity for Indian companies, the study said. This is to my knowledge the first explicit action plan by the Indian government about it’s strategy in Africa. India is asserting its interests vis-a-vis China in Africa especially since it has been playing catch up to Beijing. India’s challenge for global influence is prestige is indeed formidable as it has not yet achieved the economic and political profile that China enjoys regionally in Africa and globally. Yet at the same time, India lacks the contacts, knowledge of the complexities of various groups and segments of African society like European, American firms. But it gets increasingly bracketed with China as a rising power, emerging power or even a global superpower based off its current economic growth rates, which haven’t yet reached their apex. The difference between a goal and a dream is a plan. It’s about time that India laid out its plans how to approach Africa. Google has teamed up with the Grameen Foundation to bring and provide quick and cheap internet access to those in need in Uganda. e introduced to other African countries. Henceforth, high-tech phones are not the only ones to provide access to the Google search engine. June 29, The Grameen Foundation microcredit bank, MTN (mobile phone company) and Google launched Google SMS, a range of applications available via sms, under their AppLab (Application Laboratory) project. For now, the service is only available in Uganda, but it should soon be introduced to other countries. The application is simple: the user sends an SMS with a question (to Google SMS Tips) or a keyword (to Google SMS search) and receives an answer that best matches their search. The service replaces online search engines, while the computer is replaced by a mobile phone. A farmer can, therefore, receive forecasts, market prices, advice on how to grow crops through biological methods, on his/her mobile phone, among others. AppLab also provides information services in the health area; locating the nearest clinic, information on HIV and malaria, answers to adolescent puberty-related questions. Google Trader, a virtual marketplace service, can also be accessed: this service allows sellers of agricultural products and commodities to locate and communicate with buyers. The phone service is expected to cut travel costs, while making information that has so far been inaccessible available to certain populations, especially in rural areas where electricity and Internet access is often poor. To implement the project, Grameen Foundation has been working with local partners to help identify the needs of the population. Before the service, adapted to specific local populations, is launched, a preliminary study is conducted to ensure that the needs of the local populations are met. In Uganda, the Grameen Foundation has been working with local agencies since 2007. The Busoga Rural Open Source Development Initiative (BRODSI), among others, provided data on the needs of farmers and helped develop solutions proposed by AppLab. Grameen Foundation is also involved in assisting the development of village phone operators for the benefit of users who cannot read, do not speak English or own a laptop computer. The service includes the possibility to rent a mobile telephone or even ask for help to send and receive SMS. The service, since its inception, has continued to grow. When a request is unknown to the search engine, it is directed to a service which processes and relays information to the Google SMS database. SMS use is expanding in Africa and signify a niche market for operators who wish to reach less accessible areas. A few months ago, mobile phone operators across sub-Saharan Africa launched banking services via SMS. 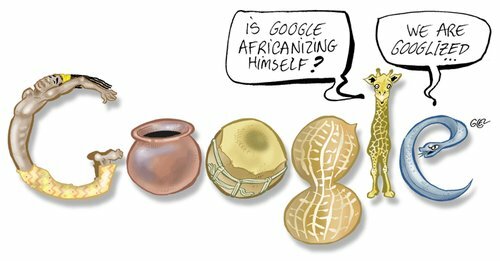 Google has so far done a good job reaching out to various organization and groups on not just promoting its policies, but also expanding the knowledge base about computing and software development in Africa. This is just a continuation of those goals and practicees that eventually pay off as more and more people use the internet, especially through Android platforms whether through smart phones, Google TV and web search. 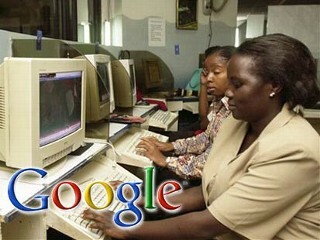 Africa will spend more on Information Technology this year than in 2010. Forecast by global research firm International Data Corporation (IDC) predicts that the information technology (IT) market in Africa, the Middle East and Turkey will surpass $60 billion this year, up 12.8 percent from last year. IDC said like last year, the growth would continue to be led by the recovery in IT hardware spending, which would grow 14.2 percent. It also predicts spending on packaged software and IT services would gain momentum and grow 12 percent and 9.2 percent respectively. IDC said IT spending in Africa will increased by 10 percent to $25 billion this year. It added that SA had recovered well with 8.7 percent growth last year and an expected 7.5 percent this year. Growth in Egypt will continue to be rapid at more than 15 percent while spending in the rest of Africa will grow 12 percent to exceed $10 billion this year. IDC also expects public sector IT spending in key countries in the Middle East and Africa will rise 14.3 percent this year to $2.6 billion. Information technology services bring many advantages. Synchronization is way better and easier. Outcomes are positive thanks to innovations and new strategies. Many business techniques are put into practice to reach different goals. Many businesses are looking to improve their position and they even reach business process outsourcing to expand in a better way. A third party is in charge of tasks so they can focus on satisfying clients to the maximum levels. Customer satisfaction comes first. If services and goods are great odds are customer will come back. The right equipment is required to improve overall performance. Thanks to much information technology services advances, applications are created and administrative costs are reduced a lot. One of the main purposes is to improve profits. Information technology management strategies are designed in such a way to bring good results. They deliver great plans that must be followed correctly. Over production is reduced and controlled. The importance of information and technology has improved the ability to communicate. 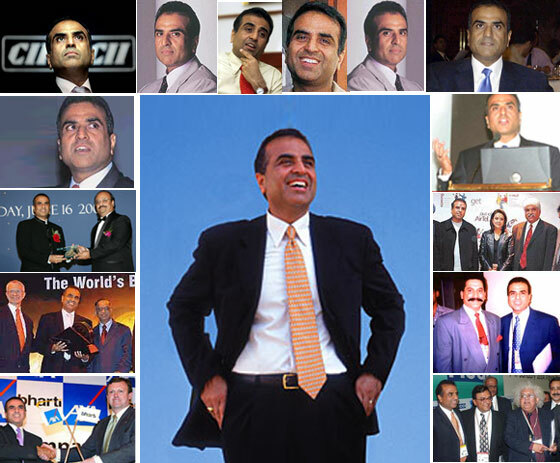 The information technology industry has come a great way and has made its mark on all the industries. This has also affected the types of education that students are getting these days. The advancement in technology has had a major impact on the type of education and also on the quality. There are special information technology courses that are developed to provide student knowledge about these things. Technology has always shown positive effects on the instructional process and has also changed it completely. The newer development in technology has defined the role of information technology better in the education and other industries. Information technology has led to an unprecedented level of connectivity, with telecommunication devices and programs, allowing businesses to stay globally connected and lead a more mobile work lifestyle. This has opened up a greater variety of jobs to potential employees all over the world, because employees no longer need to spend their entire work day in an office in the city where they live. Information technology also gives smaller businesses access to a much wider pool of customers, making it easier for them to compete with larger businesses. The more investments that are made in information technology, the more Africa will benefit economically in the long run. The price of broadband cable internet access is about go down in price. The lowering of the price will have a significant impact on business in Africa. Businesses across Africa are expecting a revolution in Internet access, technology and costs as a result of the rush of new undersea cables connecting the continent. According to the Telecoms Trends in Africa 2010 report, released by World Wide Worx and Database 360, more than 90% of business decision-makers across Africa are expecting prices to drop and competition to increase dramatically. The survey, conducted among 1100 Internet-using small, medium and large businesses across 20 African countries, also revealed that most African countries remain heavily reliant on slow or expensive forms of connectivity, such as dial-up and satellite. However, they were beginning the move to broadband. “Our interviewers encountered tremendous enthusiasm for the Internet in all countries we surveyed,” said Louise Robinson, Managing Director of Database 360. Database 360 operates a call centre in Cape Town, from which the respondents were interviewed telephonically. The study was compiled and the data analysed by World Wide Worx, South Africa’s leading independent technology research organisation. “ADSL is fast becoming the standard form of business Internet access across Africa – more than 40% of businesses in these 20 countries are using it,” said Arthur Goldstuck, MD of World Wide Worx. More than one in five respondents said they were using satellite connectivity, with a similar number planning to add it to their options. “Satellite is the most expensive means you can possibly use to access the Internet,” said Goldstuck. “The continued appetite for it tells us that, even though there is an expectation for better and cheaper connectivity, the reality on the ground remains one of limited infrastructure. “It’s amazing to see how the level of Internet usage shoots up wherever the new undersea cables have landed and fibre optic networks have linked the cables to urban centres. “The East Africa countries, especially, are taking to social networking as a business tool to a greater extent than almost anywhere else in Africa,” Robinson added. The survey highlights Kenya and Uganda as the biggest African users of social networking for business. Along with its direct and positive impact on GDP, research has repeatedly shown that increased broadband penetrationleads to significant job growth. It is conservatively estimated that increased broadband penetration in Latin America from 5.5 percent to 7.7 percent generated 378,000 new jobs(pdf). Other proven economic effects of broadband include trade creation and facilitation, lower costs for international communications and greater access to foreign markets. Broadband can also help countries attract, train and retain a valuable “creative class” of workers, and the presence of broadband leads to new business models and new business opportunities to employ those and other workers. Mobile communications in general, and broadband in particular, have an especially strong impact on the economies of rural areas, which are home to nearly three out of four of the world’s poor. Expanding broadband networks to rural areas leads to new opportunities for nonagricultural employment, better-paying agricultural jobs and greater overall productivity. Access to broadband also fosters small-business growth, allows citizens in remote areas to work from home, provides greater access to crop market prices and enables rural businesses to compete more effectively in world markets. Broadband has generally been adopted more slowly and has not had a measurable impact in improving economic productivity. In these countries, while it may simply be a matter of time before the productivity benefits of broadband are fully evident, governments should take a more active role in helping to speed up broadband adoption and in helping businesses and consumers make deeper and more economically effective use of broadband. There is a significant role for “demand side” policies which create incentives for, or lower the costs of, adopting broadband and computing technologies. Governments and businesses could look at providing training in using broadband and raising awareness of the potential benefits to firms and consumers from being able to effectively use broadband and Internet technologies. Such policies may speed up the adoption and increase the effectiveness of broadband deployment in countries which were lagging on these measures. However, they may also be useful in addressing the “digital divide” that exists within all societies and which also includes a divide in user skills and savvy between different segments of the population. Many countries are looking at how to provide universal access to broadband as an assumed driver of economic productivity. The lesson for policy makers is that there needs to be a greater focus on the users of future broadband infrastructure, enhancing the “demand side” of broadband access. Specifically, for broadband to become a more effective productivity enhancement tool, countries need to invest in improving overall IT skills and in lowering the costs to businesses of adopting technology and restructuring business models around technology. “Useful connectivity” depends not just on the number of people connected to a network or infrastructure, but how well those connected people utilize the network or infrastructure. Although it is convenient for governments and the telecommunications industry to focus on the “supply side” (access) of the broadband industry, ultimately policy makers cannot ignore usage, skills and technological savviness among businesses and consumers. Security Firm Blackwater Hunting Somali Pirates ? According to a report by the New York Times, Blackwater or currently known now as “XE”, has been hunting the high seas for some Pirates. WASHINGTON — Besieged by criminal inquiries and Congressional investigators, how could the world’s most controversial private security company drum up new business? By battling pirates on the high seas, of course. In late 2008, Blackwater Worldwide, already under fire because of accusations of abuses by its security guards in Iraq and Afghanistan, reconfigured a 183-foot oceanographic research vessel into a pirate-hunting ship for hire and then began looking for business from shipping companies seeking protection from Somali pirates. The company’s chief executive officer, Erik Prince, was planning a trip to Djibouti for a promotional event in March 2009, and Blackwater was hoping that the American Embassy there would help out, according to a secret State Department cable. But with the Obama administration just weeks old, American diplomats in Djibouti faced a problem. They are supposed to be advocates for American businesses, but this was Blackwater, a company that Secretary of State Hillary Rodham Clinton had proposed banning from war zones when she was a presidential candidate. The embassy “would appreciate Department’s guidance on the appropriate level of engagement with Blackwater,” wrote James C. Swan, the American ambassador in Djibouti, in a cable sent on Feb. 12, 2009. Blackwater’s plans to enter the anti-piracy business have been previously reported, but not the American government’s concern about the endeavor. According to that cable, Blackwater had outfitted its United States-flagged ship with .50-caliber machine guns and a small, unarmed drone aircraft. The ship, named the McArthur, would carry a crew of 33 to patrol the Gulf of Aden for 30 days before returning to Djibouti to resupply. And the company had already determined its rules of engagement. “Blackwater does not intend to take any pirates into custody, but will use lethal force against pirates if necessary,” the cable said. was accused of giving an unauthorized interview to his hometown newspaper in Minnesota. The captain, according to the lawsuit, also threatened to place the sailor in a straitjacket. Another crew member, who is black, claimed in court documents that he was repeatedly subjected to racial epithets. With lack of being held accountable (the pirates) by local or neighboring governments, this “market” based approach is not that surprising to solving the piracy issue. The financial incentives are there for not the right solution, but one that is manageable. Seeing a good opportunity, security firms are scrambling to meet the growing demand. Given the fact that navies patrolling the seas aren’t there for the long haul since they need constant refueling, repairs-maintance and crews eventually have to return home. The only other viable solution is armed patrol for each ship and this is where Blackwater AKA Xe and other private security firms step in. They are nimble, agile and have right personel since most of the employees are former soldiers from various nations like Israel, U.S., U.K, France, Poland, Australia, and South Africa even. Until the U.N, African Union, Somali and neighboring nations effectively solve the piracy issue, expect more and more solutions to come out from private contractors and security firms.